Burn out. It’s something we all experience from time to time, and it’s most commonly associated with work. It’s a life lesson to feel burnt out and to learn something from it. Setting boundaries in working relationships with co-workers, or even our trainers, is important when it comes to maintaining some semblance of work-life balance. But all too often I see young riders, eager bright minds who are passionate about horses and the sport, burning out before they even come close to reaching their prime. We’re lucky to be part of a sport that fosters a community where many are so free with their knowledge. Yes, horses are expensive and they require a lot of hard manual labor, but there are many opportunities out there to learn from the best. That said, balance is key. A teenager happily volunteers at her local farm as a quasi working student. She’s working for free for the trainer at the farm where she boards her horse. In the beginning, this young girl was ecstatic to take on the position, which would give her more hours to be around her horse, log miles riding a variety of other horses, and to learn some expertise from her trainer. In the beginning, she enjoys the hard work. Even dumping, scrubbing and refilling water buckets in negative-degree temperatures during winter doesn’t deter her. But as time goes on, this teen is growing tired. She’s struggling to maintain her commitments at the barn, which comes with the coveted title of “working student” that she gets to boast to her other horsey friends. Because she’s good at her job, her trainer continues to add on more responsibility. 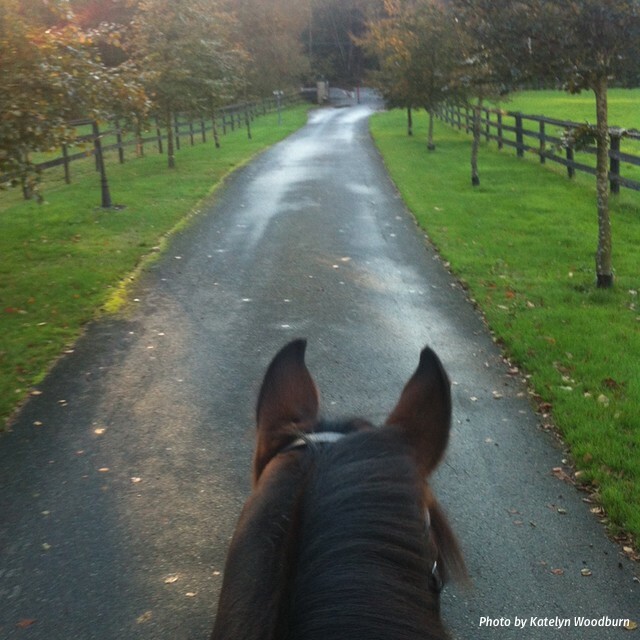 Remember – she’s not getting paid at the barn, and she has little time to devote to a part-time job that could put some extra cash in her pocket. That also means less time to do homework. And less time to just be a kid at home, or with friends, in between school and barn time. Read This Next: The Working Student Exchange, Are We Eating Our Young? This kid does just about everything when she’s at the barn: tacking up horses, lunging them, turning out, feeding, mucking stalls. She fits in the barn work around her high school schedule, and she’s taking advanced courses at the local community college at night. Now she’s riding her own horse less because she doesn’t have the time. Her own riding is suffering. All of a sudden, this passion isn’t so fun anymore. How do we prepare young adults to say no? All too often I read crotchety ole’ quotes and comments from professional riders who say this current generation of riders doesn’t have the same work ethic as the ones who came before them. Fewer are willing to do the dirty work required to learn and to ultimately rise the ranks of the sport. I understand where this kind of sentiment is coming from – in order to be successful in this industry, you’ve got to be willing to put in the work. But this “weed out the sissies” mentality is problematic. Every generation has something to say about the younger ones coming up behind them. But this “tough it out” message can be cringe-worthy, and sometimes flirts the line of abuse. I was never a full-time working student under a big-name trainer. But I happily took on unpaid internships, which I worked in conjunction with a full-time college course load and waitress job to pay the bills. Now 10 years later, I’m comfortably working in the same career path I set out to do while in college. And you know what I tell the (paid) interns who flock to our offices every summer? Learn everything you can while you’re here, but take care of yourself, and never do this job for free. What this comes down to is defining your own self-worth. It took me a long time to realize it’s OK to turn down an opportunity when I already had too much on my plate. It’s usually the best and the brightest who are singled out for their work ethic and eagerness, and as such, are offered more opportunities. But learning when to say “no” or “this is too much for me right now” is not an admittance of failure. It’s actually a quality awarded in leaders, who know when to delegate or to pass on one opportunity, because they know another will come up when the timing is right.